As a necessary part for household life, TV has played an important role in the entertainment. Due to the speedy advancement of the technology, the TVs have been produced into various forms with all kinds of features added. Additionally, most of the families may have the DVD player so as to provide more video relaxation at home. If you have prepared a 4K Ultra TV, it will be much more amazing. Now, you can even just buy a simple TV which contains a built-in DVD player so that you can watch television and play DVD discs as well. Now let’s get started from the TV with built-in DVD player. Advanced technology can really make your life easier, to a great extent. Just as the details it implies, a TV with built-in DVD player can meet your basic requirement on both TV watching and disc playing with only one device. Usually, we give the name "TV DVD Combo" to this specific kind of TV. A TV DVD Combo will allow you to watch the television programs as well as supporting inserting a DVD disc into the TV to watch your favorite movies. With such a combo unit, you only need to connect it properly, and then you can obtain the two basic functions at the same time without any more additional devices. In other words, you will not need any independent DVD player if you have a television with built-in DVD player at hand. General speaking, a TV combo may have the following advantages. Convenience. It is quite convenient for you to play DVD disc and watch television programs within only one device. Also, you can avoid moving the DVD players every time you move the TV set. You only need to place it in any place you like. 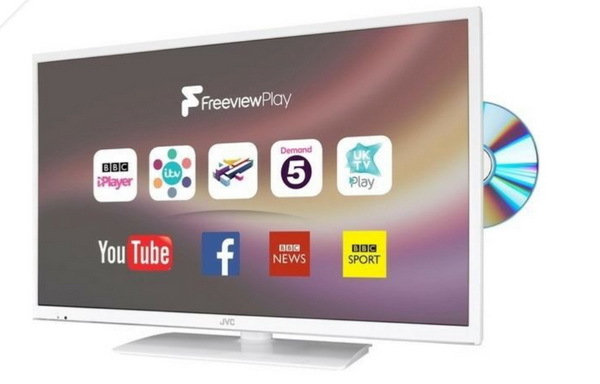 Inbuilt freeview tuner For most smart TVs with built-in DVD player, more than 60 free channels will be offered without paying additional fees to buy the service. This is quite important if you are located in some areas with poor signal. Portability and low power consumption. A TV DVD combo is usually not large in the size which is quite portable and it comes with very low power consumption, compared with the common TV and DVD player. It can be a good choice for outdoor entertainment. Cheap. As an all-inclusive device, A TV DVD combo will save about £100 for you, while in comparison with a TV and a DVD player. Also, it will save you more energy to connect the device. What you need to do is to connect the TV with built-in DVD player to the local TV port. Based on the above factors, I have selected the 5 best TVs with built-in DVD players in the market for your options. You can refer to the following for more details. On the top of the recommendation list, Bush 24-Inch Full HD 1080P LED TV can be talked in the first place. 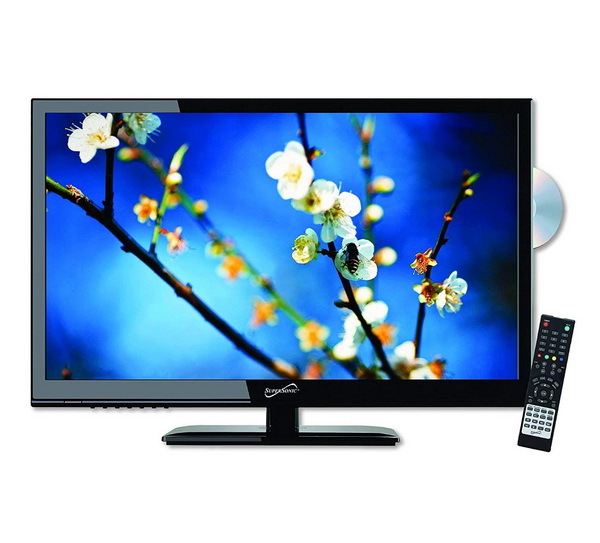 This LED TV DVD Combo is quite simple for use and can meet your all requirements in video or television playing at home. This TV is quite excellent in power consumption which has been ranked at A Level. Also, this TV DVD Combo contains both HDMI slot and a USB 2.0. Sometimes, if you are not available for the program, then its PVR function can give you a perfect solution because you can easily record your favorite content within for later viewing. From the outer features, this TV is quite sleek and slim in its design which is a good option for space efficiency. With it, you can freely enjoy the Digital Audio Broadcasting. 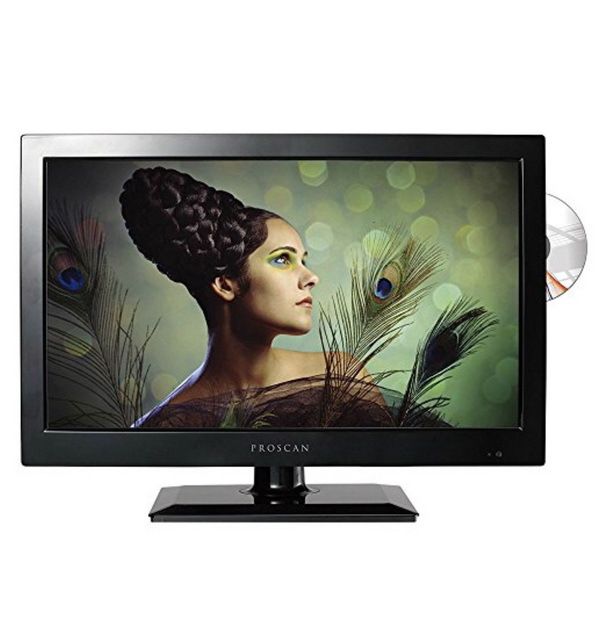 Secondly, Proscan 19-inch LED HDTV is also a good choice for you. This TV DVD Combo is quite simple to use and allows you to enjoy the television programs along with movies with ease and accuracy. It is outstanding in the feature of wall mounting which allows you to mount the TV easily. With such a TV DVD Combo, you can be freely available for all kinds of connections, including USB, HDMI, VGA, PC Audio, AV Audio/Video and so on. Its internal ATSC Digital tuner will give you the highest sound quality. At the same time, the perfect 16:9 aspect ratio will offer you the best video picture quality. 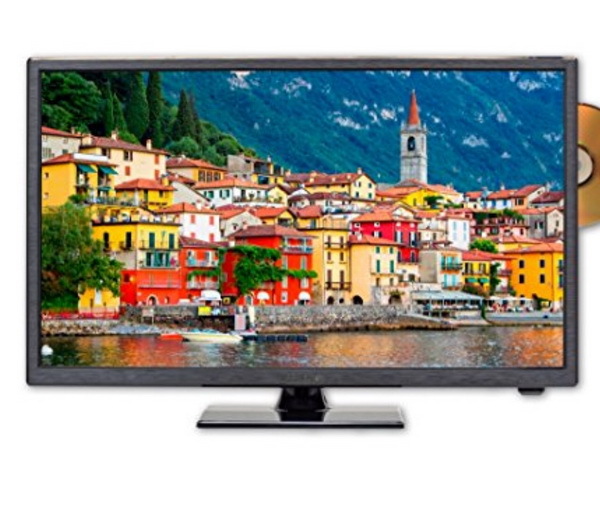 Due to its small size, Proscan 19-inch LED HDTV is convenient to place. You can put it in the kitchen, children’s rooms etc. If you have bought a remote controller, then it can help you to control the player in a very far distance. According to some reviews, some users have regarded SuperSonic 24-Inch 1080 LED Widescreen HDTV as the best overall in the past years. 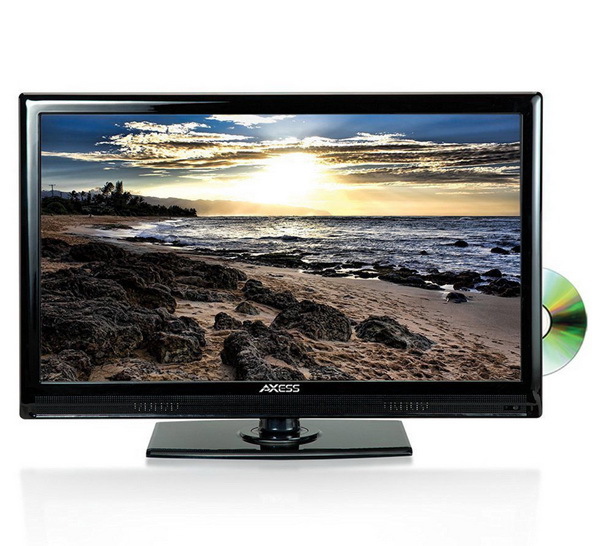 With a large 24 inches screen, this TV DVD Combo is able to offer fantastic picture and audio effects. Due to the 1920 X 1080 pixel, this display is the largest TV/DVD LED combination. You canget access to other digital resources via the HDMI and USB input connectors. Also, the PC input will allow you to use this TV as a computer monitor. Besides, you can find USB and SD card port on this TV so you can stream your videos or pictures. The built-in DVD player is compatible with DVDs, CDs, CD-RW format discs, but it fails to play the Blu-ray discs. Next, it is another ideal television with built-in DVD player for budget-conscious buyers. That is Sceptre E246BD is easy to be used as a TV and DVD player via the control of a remote controller. It can allow you to watch TV programs and DVD discs whenever you like. Its inserted USB slot and added extras such as HDMI, VGA can help you to stream external resources easily. 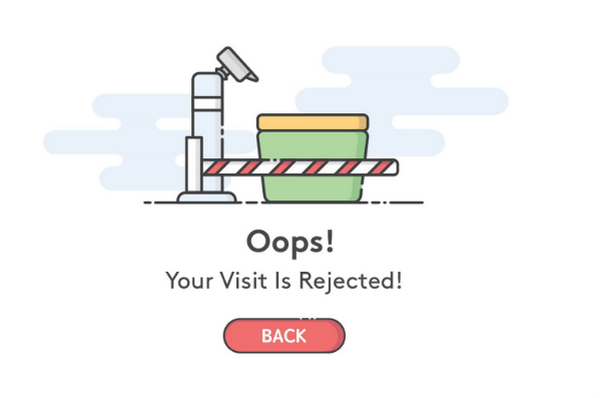 One of the most attractive selling points of the player should lie in the remembering function that it can remember the last point where you paused a movie or DVD last time. So, next time, if you keep watching the movie or DVD disc, it will automatically take you to this point you paused last time. You can fully enjoy the television programs and various DVD discs at home with your family. Last of all, I will introduce a portable TV with built-in DVD player for you. 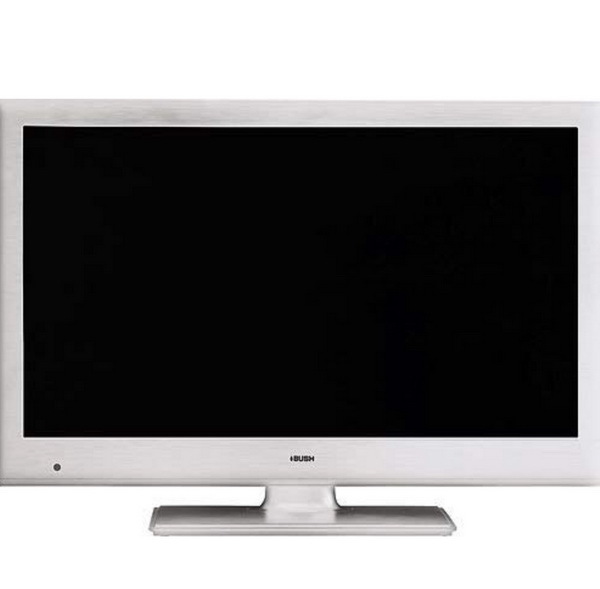 It is Axess 24-Inch 1080P LED HDTV. As an excellent TV/DVD combination, Axess 24-Inch 1080P LED HDTV is very sleek in its design and the side-loading feature makes it easier for users. It also includes a 1929 x 1080 pixel resolution which can provide you with the 16:9 ratio for fantastic video watching experience. This TV/DVD Combo also includes built-in analog and digital tuners as well as HDMI port so that you can connect this combo to any other external devices. What’s worth mentioning is that its Dolby Vision sound will present the theater-like quality. After talking about the best TV with built-in DVD players above, now we can have a discussion on the best free DVD players for computer. You can get access to various DVD players in the market, but you have to take a try on one of the best free DVD players in the past years – Leawo Blu-ray Player. As a totally free media player, Leawo Blu-ray Player can provide you with the direct and perfect solution for Blu-ray discs, 4K, DVD discs, CDs as well as other 180+ digital formats videos. With such a player at hand, you can meet all the requirements to play digital content for your computer. It can easily play these contents without original quality losses. 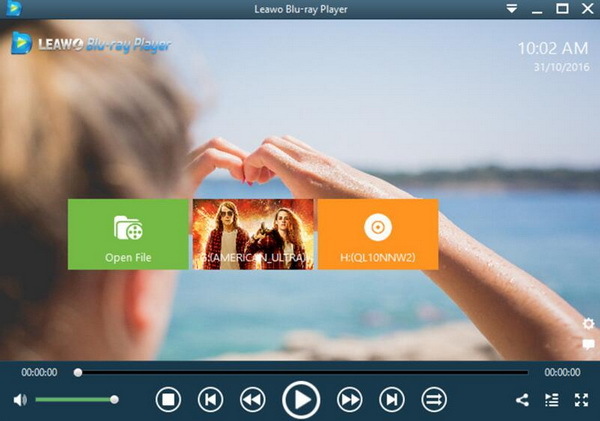 With advanced image and audio processing technology, Leawo Free Blu-ray Player software delivers superb movie experience, offering you cinema-like enjoyment with your home theatre system. This free Blu-ray disc player could play Blu-ray discs of region A, B and C, and DVD discs from region 0 to 6, the same for playing Blu-ray discs on mac system. Furthermore, if you prefer more personalized settings, then this player can also take you there. You can change aspect ratio for multiple displays and change settings upon video, audio and subtitles. If you have been a fan for Blu-ray/DVD discs for many years, you must have encountered the DVD disc error, for example your DVD player fails to read the disc you inserted. How to fix the DVD player disc error? Actually, the reasons for this error mainly lie in that the player has something wrong in its settings or the discs are not well protected. Concerning the first reason, you can try to reconnect this player or reset it to the primary settings, and then try to restart it and insert the discs into it for another try. If it still doesn’t work, maybe it will be the discs’ "faults". Try to check the quality of the DVD disc and make sure no serious scratches or damages on it and clean it with some specific DVD disc cleansers. Put it into the DVD player’s drive again to check whether it is working or not.